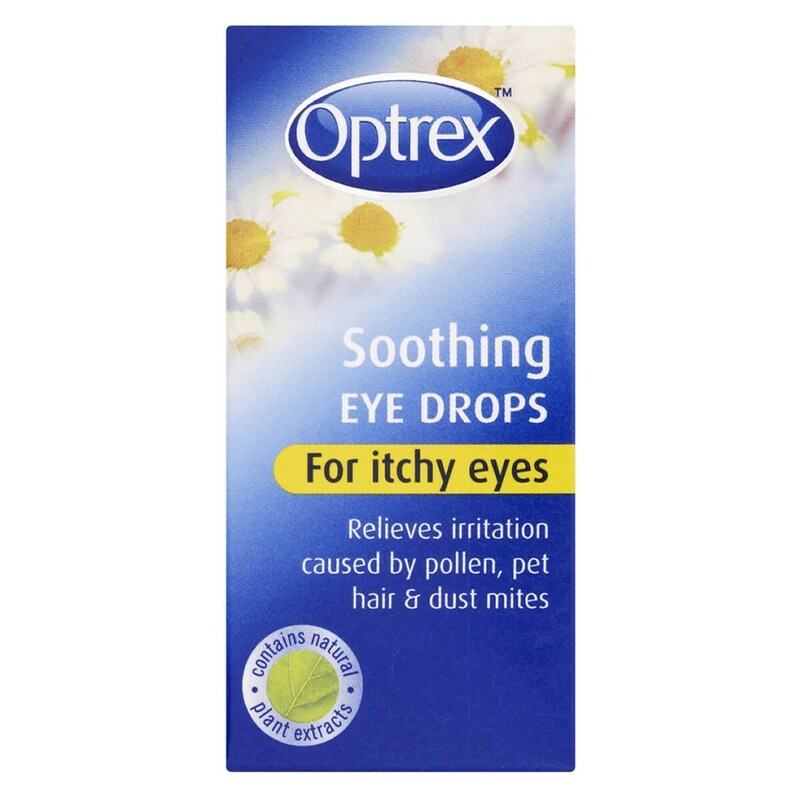 Optrex Itchy Eye Drops work instantly to help relieve irritation caused by pollen. They are also suitable for reducing itching caused by dust, mites, pet hair etc. Optrex Itchy Eye Drops are not a medicine and so can be used at the same time as oral anti-histamine medication to specifically act on your eye symptoms. Optrex Itchy Eye Drops contain natural plant extracts and are suitable for adults and children from any age. Optrex Itchy Eye Drops contain Witch Hazel. Ensure your hands are clean and dry and the bottle’s seal is intact before use. Carefully dry your eyes with a tissue. Gently pull your lower eyelid down and place 1 or 2 drops inside it.Replace the cap tightly.Don’t use Allergy Eyes Eye Drops while or just before wearing your contact lenses.Wait 15 minutes before wearing contact lenses. Thank you for your interest in Optrex Itchy Eye Drops. Enter your email and we'll contact you as soon as it's available again.